Hello! 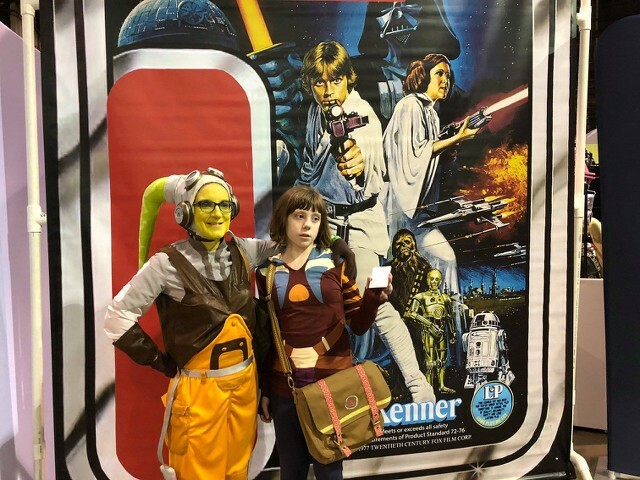 My name is Valerie, and I started cosplaying Hera for Celebration 2017, and after talking with some members of the Rebel Legion and 501st at Chicago ComicCon and Saluki ComicCon, I decide to take the plunge and sign up! I’m not quite sure how to proceed with the costume approval. I have a costume, but I know several things need improvement. Should I go ahead and post the pictures so I can get tips on what needs or wait until I’ve fixed things? For example, right now I have a pair of homemade lekku ( stuffed fabric painted with latex) but I have a pair of silicone lekku coming later this month. Should I wait to do photos until after I’ve got them and my new flight cap? Any advice on the process would be appreciated! Welcome! I grew up in Central Illinois (Bloomington-Normal to be exact), but I’m up by Six Flags now. Definitely post pictures either here or in the TV shows sub forum for specific help. I have been approved as Hera for just over a year (the only one in NSB so far), and we have up to 6 others in various stages of progress. Which outfit variation is your costume? Mine is season 1-2, so I know that one best. Hi! Nice to meet a fellow Hera! I grew up in Mackinaw, a small town not far from Bloomington-Normal, and am currently living in Lincoln. I should be getting my new silicone lekku this week and can't wait to try them out! The only person I know who has done the finale outfit is Xenadd, but she hasn’t submitted that outfit for RL approval yet. She has several pictures on her Instagram. If you want to check it out, PM me because I don’t feel comfortable publicly sharing anyone’s other social media accounts if they don’t have that information available on their profiles. She does have a website listed on her profile. And my oldest son cosplays as Jacen, so it will be awesome to have that costume variation in the base! I have so many other costume plans that I haven’t had any time to even consider making any of Hera’s other outfits. Thanks! I checked out Xena’s webpage—wow, her Hera costumes are incredible! I did see a couple pictures on her page of the Finale outfit, and I’m definitely going to check out her makeup tutorial. That’s so cool that your son cosplays Jacen! How old is he? I’m hoping I can get my daughter into cosplay with me someday (I think she’d make a great Torra Doza ), though right now the costume hoodie is about as much as she’ll do. My husband is currently cosplaying Thrawn, though nowhere near at a level for the 501st! I just got my new lekku today, so I am geeking out over them! I’m a little nervous about painting the designs on them. I need to research painting silicone! Meanwhile, my mother, who is a seamstress, is going to do a trial run of the flightcap. Welcome! I am pretty new here and I also live near Six Flags. My best friend lives in Towanda, so I get down that way at least once a year. We're planning to be at the Madison Comic Con in November. One of my good friends, who cosplayed Kanan with me at Chicago Comic Con, lives there, so it seemed like the perfect opportunity to get together with her. Hopefully, I'll have the new lekku and flight cap ready to go by then! and glad you are here!! 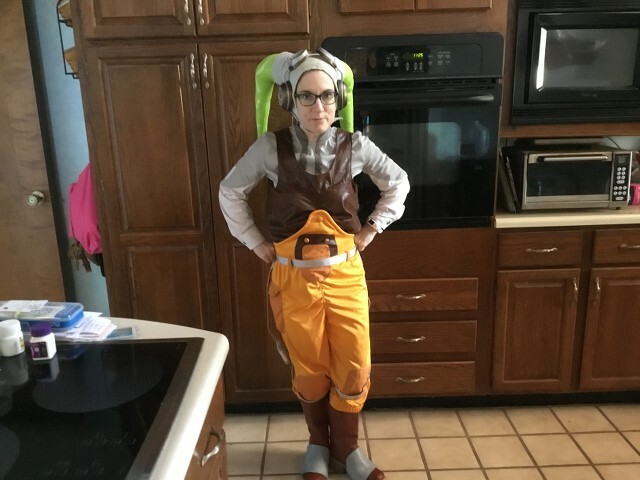 My oldest is 8, and my youngest is 6 1/2, and my youngest cosplays as Ezra, so we have our own mini Rebels group in the family. For my flight cap I started with the pattern available from Amber Brite on Etsy and modified it to fit better. My lekku are latex, so sadly I am no help there.